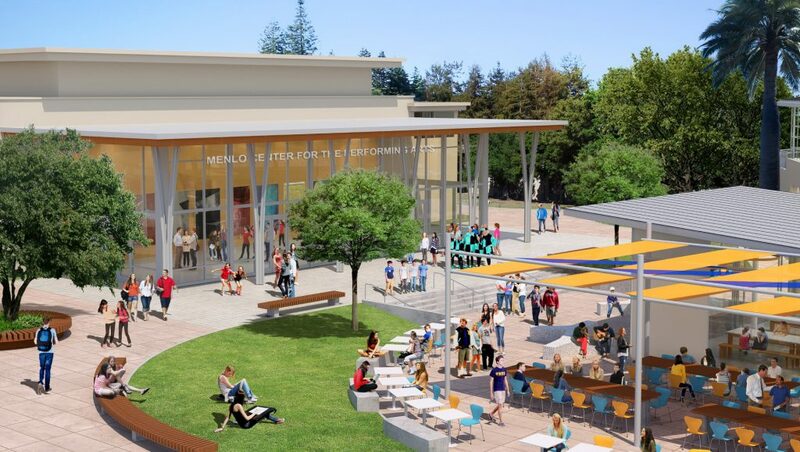 PGAdesign was enlisted to re-envision the existing core of Menlo School’s campus, previously paved in asphalt and used as an ad hoc circulation route between the school’s Arts Building and the rest of campus. 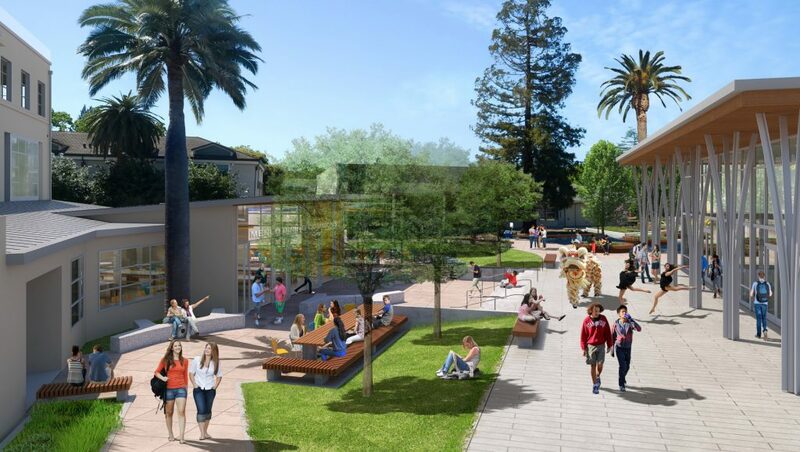 PGAdesign saw the opportunity to unite the proposed Performing Arts and Technology Centers while creating an activated exterior lunch area that would serve as a vibrant heart to the campus. 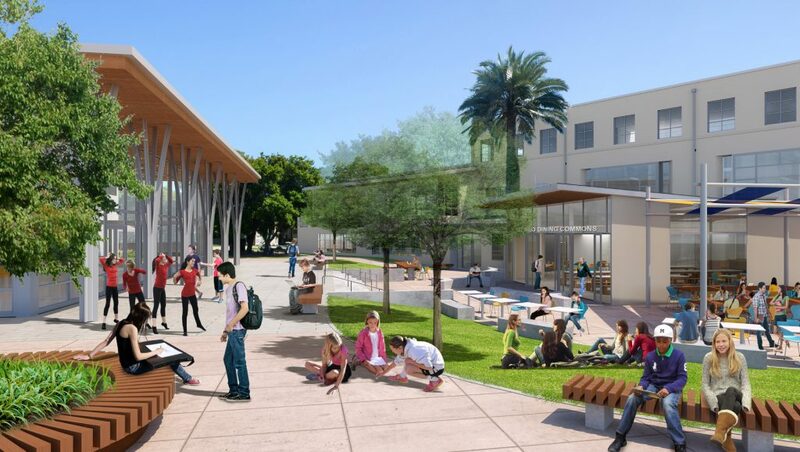 Taking advantage of the site’s challenging grades, the design provides a lower dining court with multiple seating opportunities in response to a diverse student body. 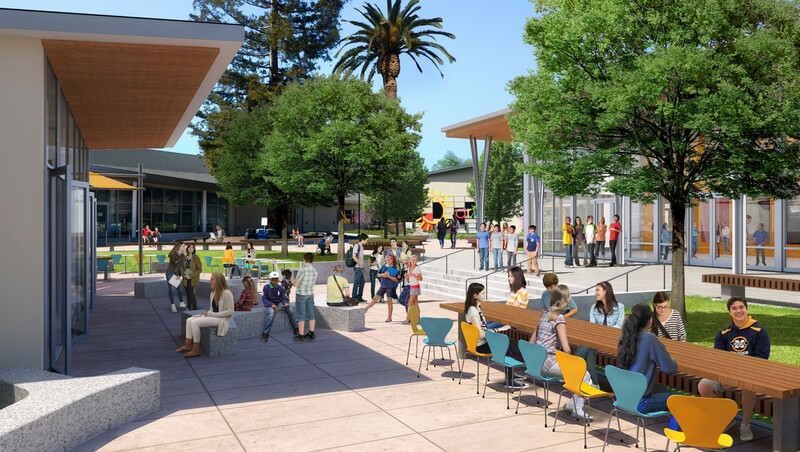 Unique site furnishings, including ‘twig’ benches, oversized benches, a sloped ‘seating lawn’ and circular tree planters offer multiple ways for students to utilize the spaces, while creating a unique identity for the school.